Adina Worboys, owner of Adina’s Recruitment, believes the surge in trade which has taken her turnover to £1.5 million is down to moving the firm from her house to an office at Mansfield i-Centre. The entrepreneur says the dedicated business support, manned reception, professional image and dedicated support at the centre, based in the town’s Oakham Business Park in Hamilton Way, has helped to progress the business. Going from strength to strength the firm now boasts 160 registered drivers, up from 80 two years ago. The specialist driver recruitment agency was initially based at Adina’s home for the first eight years, and now having reached its 11th year the company is reaping the benefits of being based at in a thriving business centre community. “Moving to the i-Centre was the best thing I ever did. It changed my mindset and made me feel like I was running a proper business. It made me get up in the morning and get dressed for work. I was also and still am offered ongoing support with training, mentoring sessions based within the i-centre. “I could see that I was approaching a turnover of £750,000, my accountant said you are too big to be running from home, but my mindset was still set that I was a small business. Adina set the firm up after being made redundant from a similar enterprise she worked within for a friend of her husband. She secured Sports Direct as her first client and is still working with them today. 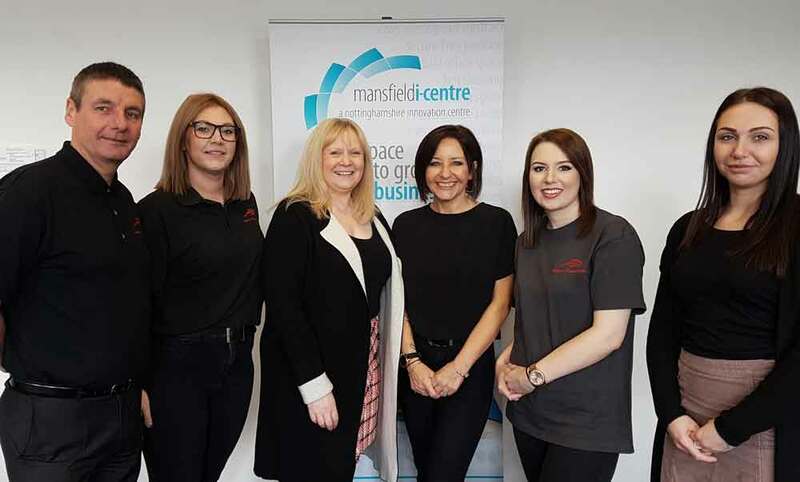 Managed by Oxford Innovation, Mansfield i-Centre provides a base to more than 50 growing businesses. The Oakham Business Park site boasts 36 self-contained offices and five workshop units ranging from 144 sq ft to 1,200 sq ft as well as meeting and conference facilities, tailored business support, a café and children’s nursery.